From 9-12 November 2017 Odyssea participated in the Science Festival in Luxembourg, organised by the National Museum of Natural History and Fonds National de la Recherche. 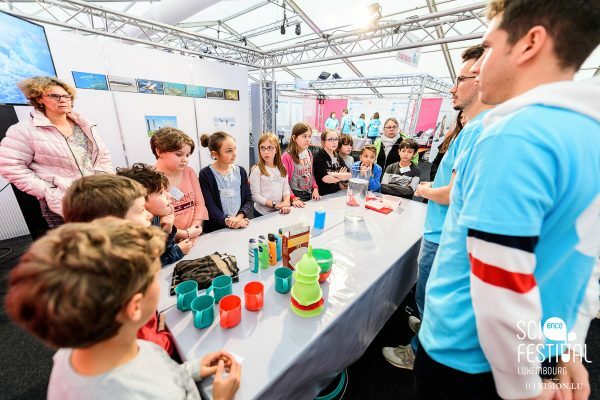 With over 50 workshops and over 10 000 visitors in previous years, the Science Festival is the most visited science outreach event in Luxembourg. 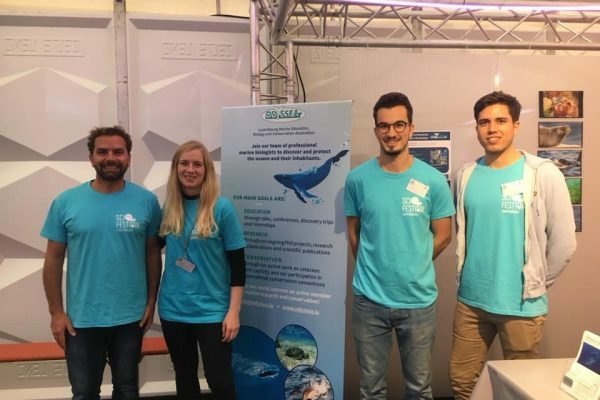 Odyssea’s workshop focused on plastic pollution in the oceans. Every year 8 tons of plastic1 enter our oceans and plastic is now omnipresent on our shores, whether in the polar regions or remote islands. In a first experiment we showed that there are many different types of plastics with different buoyancies: some float on the water surface, some sink to the ocean floor. No matter where animals feed in the water column, they might encounter plastic and mistake it for something edible. 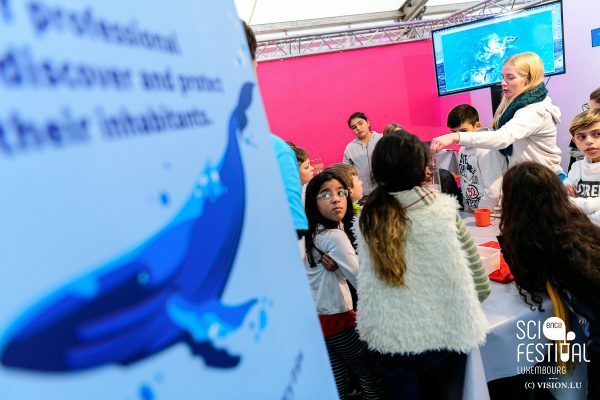 We highlighted the example of sea birds and marine turtles, which are known to die from plastic pollution. 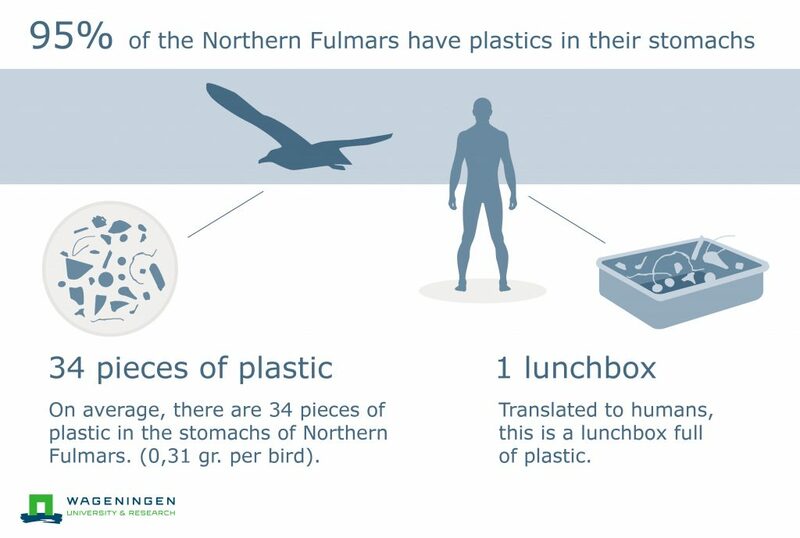 95% of Northern fulmars are estimated to have plastics in their stomachs! Over one million seabirds are estimated to die per year due to the ingestion of plastic. One stranded whale was found with 30 plastic bags in its stomach. Along with the vertical distribution of plastic in the water column, we showed how currents disperse and concentrate plastics in our oceans. 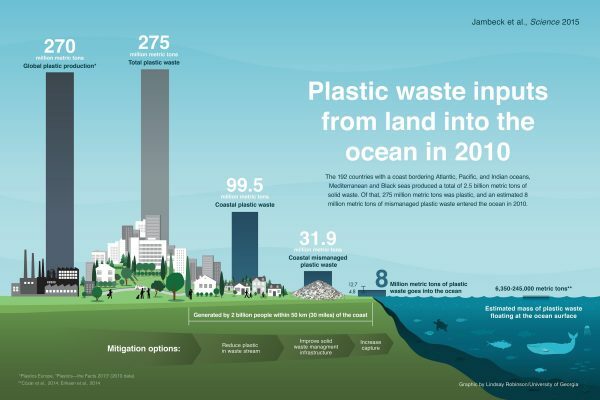 The animation on http://adrift.org.au/ simulates where plastic ends up after 0-10 years. In some areas of the ocean currents act to accumulate plastics, creating the great Pacific garbage patch for example. No place seems to be spared and plastic pollution is also increasing in the most remote areas such as the Arctic2. 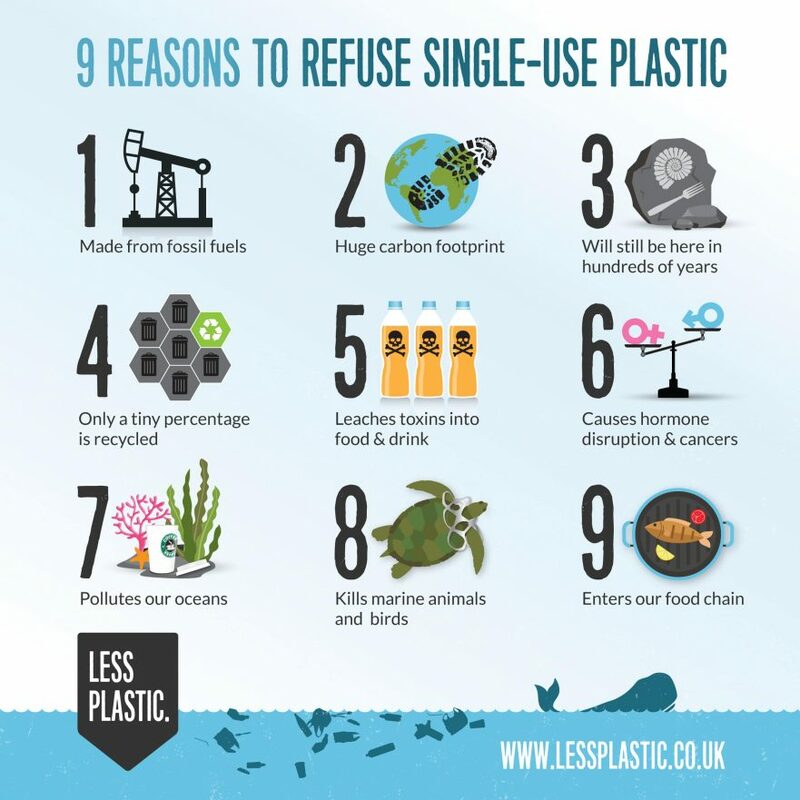 Chances are there is even plastic in your table sea salt3. The second part of our activity focused on the hidden plastics in our everyday lives. 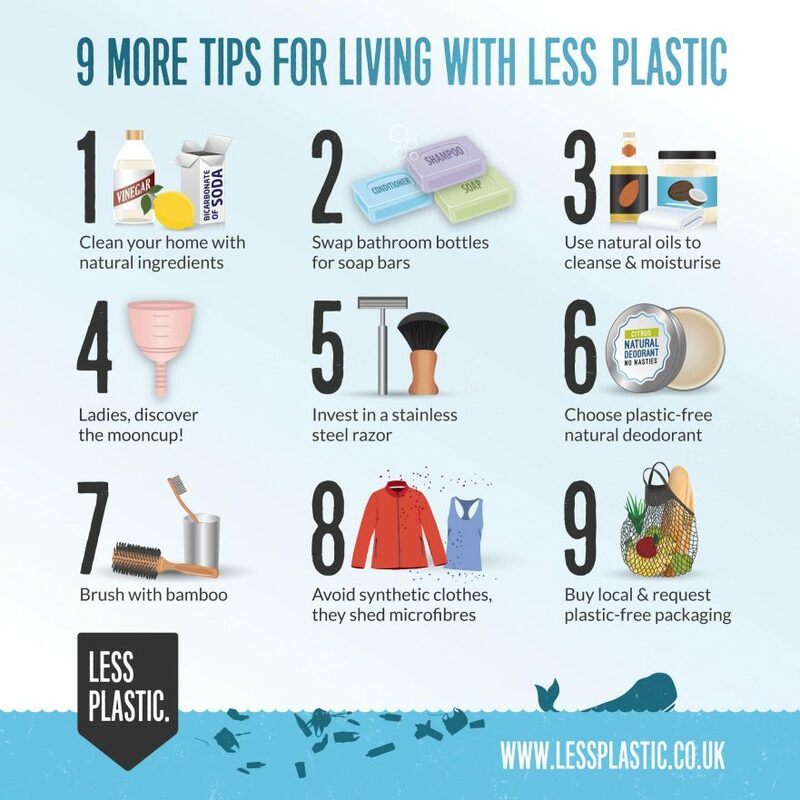 Microplastics are defined as plastics with a diameter <5mm. A vast array of cosmetic products contain microbeads or microplastics. A list of products to avoid, ranging from facial scrub soaps to sunscreen products are listed here. Kids had the opportunity to discover how much plastic can be hidden in a spoonful of soap. The soap was first diluted in warm water before the solution was passed through a coffee filter. Left in the filter were the microbeads, tiny pieces of plastic. Sewage plants are not designed to filter out microplastics and they might end up in rivers and eventually the ocean. Instructions on how to perform the experiment at home or in school classes can be found in this video. Microplastics act like a sponge and soak up high concentrations of contaminants from their environment. In the ocean, microplastics can enter the food chain when they are ingested by zooplankton. In a game, we showed high plastics and contaminants can accumulate at the top of the food chain. Top predators, like tuna fish or killer whales, have exceptionally high contaminant levels. In killer whales, high contaminant levels in the milk can reduce the chance of survival of a females first calf. Due to high pollution levels, it is recommended that the consumption of large fish, e.g. tuna or swordfish, should be kept to a minimum. We wanted to end the activity with some ocean optimism. 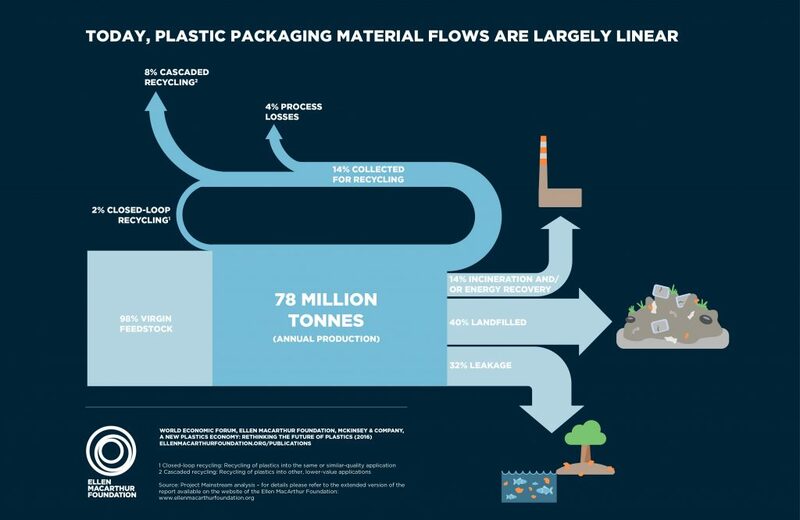 While the problem of plastic pollution seems too big for anyone to handle, there is hope. As one of our visitor put it: If I change, one thing changes. We were overwhelmed by the knowledge, understanding and interest of some of our youngest participants. 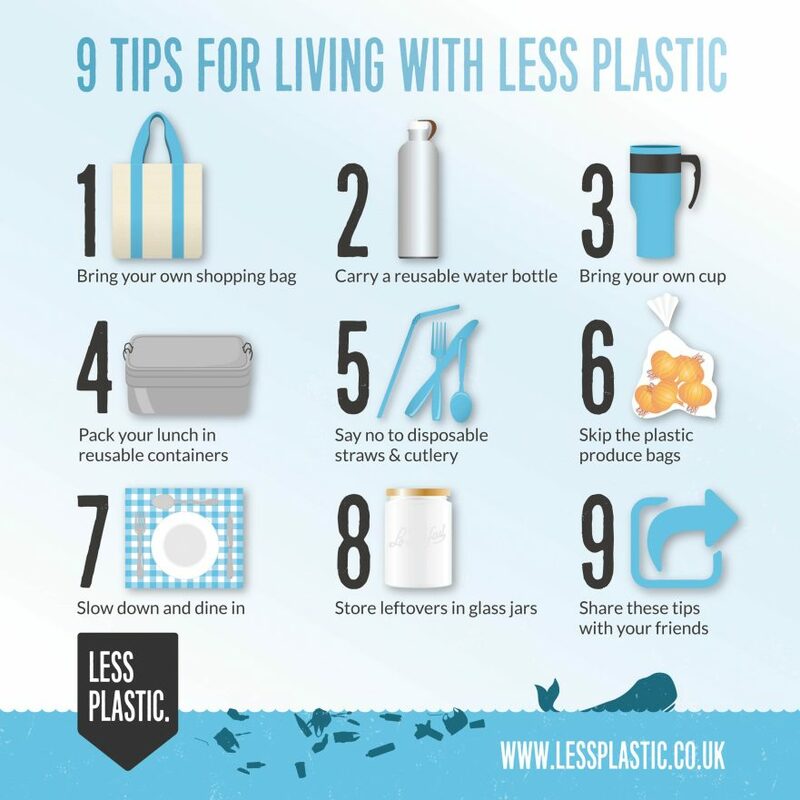 If we all change our habits and the way we use plastics, we can reduce the problem of plastic pollution. Reduce, Reuse, Recycle. 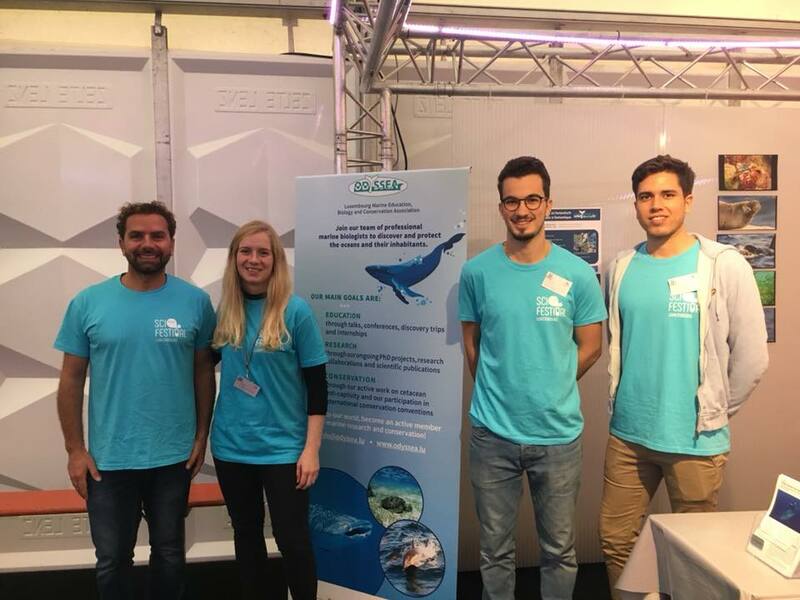 The activity would not have been possible without the help and dedication of Livia Gavard, Fanny Dessard, Soren Salvatore, Félix Feider, Philip Fourmann, and Pierre Gallego. Thank you! Anna Schleimer was the activity coordinator. Cover photo taken by João Vianna in the archipelago of Fernando de Noronha, Brazil. 1Jambeck, J.R., Geyer, R., Wilcox, C., Siegler, T.R., Perryman, M., Andrady, A., Narayan, R. and Law, K.L., 2015. Plastic waste inputs from land into the ocean. Science, 347(6223), pp.768-771. 2Bergmann, M., Lutz, B., Tekman, M.B. and Gutow, L., 2017. Citizen scientists reveal: Marine litter pollutes Arctic beaches and affects wild life. Marine pollution bulletin, 125(1-2), pp.535-540. 3Karami, A., Golieskardi, A., Choo, C.K., Larat, V., Galloway, T.S. and Salamatinia, B., 2017. The presence of microplastics in commercial salts from different countries. Scientific Reports, 7.